"THANK YOU" to all of our wonderful guests who came to the Fall Cyclone Party for 25 years!!! THE FIRST FULL WEEKEND OF NOVEMBER, EVERY YEAR. 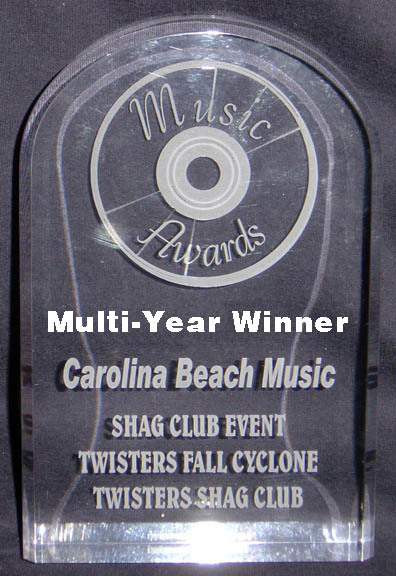 The Fall Cyclone was the first Carolina Beach Music Awards "Best Shag Club Event" Winner, and then won several more times!